How a culture marks the transition from childhood and adolescence to adulthood is as varied as cultures themselves. Ranging from potentially deadly physical exercises and intense mental challenges to grand celebrations and public pronouncements, rites of passage say something about the norms, beliefs and expectations of a culture. What does being a woman or a man mean? What does it take to be recognized as mature? What evidence exists, or can be produced, to show an individual is ready to assume the roles of adulthood? These are the questions rites of passage seek to answer. In North America some have lamented the loss or absence of significant rites of passage. A prolonged or perpetual adolescence is cited as the result. Adult men and women play on competitive kickball and dodge ball teams. Adult men and women are occupied as professional skateboarders and video game players. What was once child’s play has become the stuff many are engaging in well into the years previous generations would have considered the years “grown-ups did grown-up stuff”; get married, buy a house, have children, build a career. And in case you missed it in English Lit. While we might not have rites of passage like a “Vision Quest” or some such adventure into adulthood, we do have a few examples we can lift up. This past Sunday I witnessed what may be the most significant rite of passage in my Christian subculture – Confirmation. 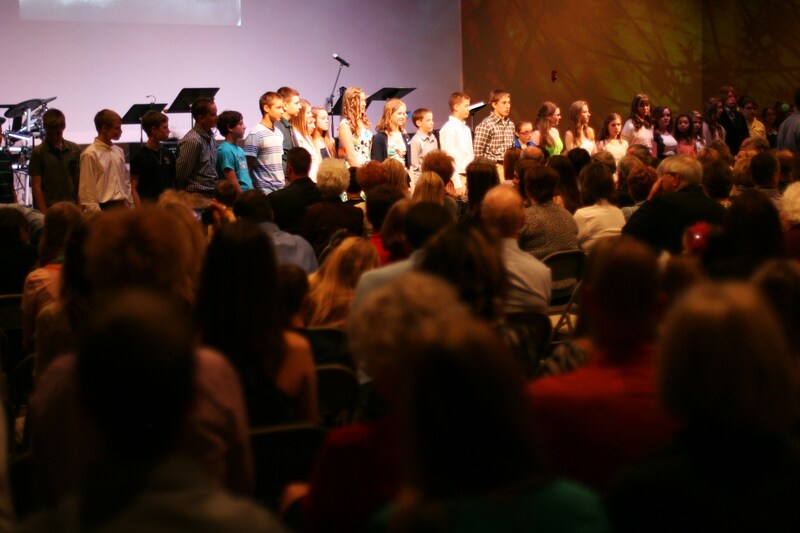 I watched as 40 students stood before their families and a representation of the Church and confirmed their faith. They professed their acceptance of Jesus as Lord and Savior. They made pledges to God, to the Church and to each other. And we had the opportunity to witness, support and participate in their professions. Frankly, many will not see what they did as more significant than getting that license or graduating. Many will remember getting dressed up, feeling a bit embarrassed and perhaps being excited for the post-worship celebrations. Some (I pray most) will have taken a step across the invisible and fuzzy line that separates what we are told to believe and what we actually believe. For some, Confirmation will be the rite of passage that marks a major milestone in a lifelong adventure of faith. What are the norms expressed in such a rite? What beliefs are communicated? What expectations held up? Faith is personal and communal. Faith is to be nurtured and shared. Faith is not a destination but a journey. Faith changes a person. Faith is a journey we take with Jesus and with each other. And all of this was confirmed in and for those who gathered to celebrate this wonderful rite of passage. I am thankful I had the opportunity to experience it with them all. Really grateful you and your family were there. Thanks for this! We are definitely on a similar thinking-track . . . . I enjoyed your thoughts on a faith rite of passage- very important. My site is dedicated to circles of mentorship- these two go side-by-side I think. Glad I came across yours!